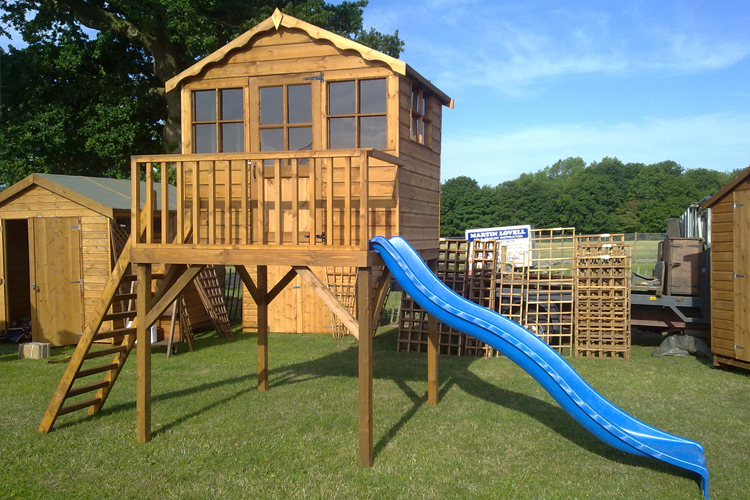 Trojan Timber Products Ltd. is a family owned and family run business based in Sidlesham, Chichester, West Sussex. Having taken over the business in the summer of 2008, when the previous owner decided to retire after 22 years of business, the new owners are making way for a younger generation to inject the company with some new ideas. 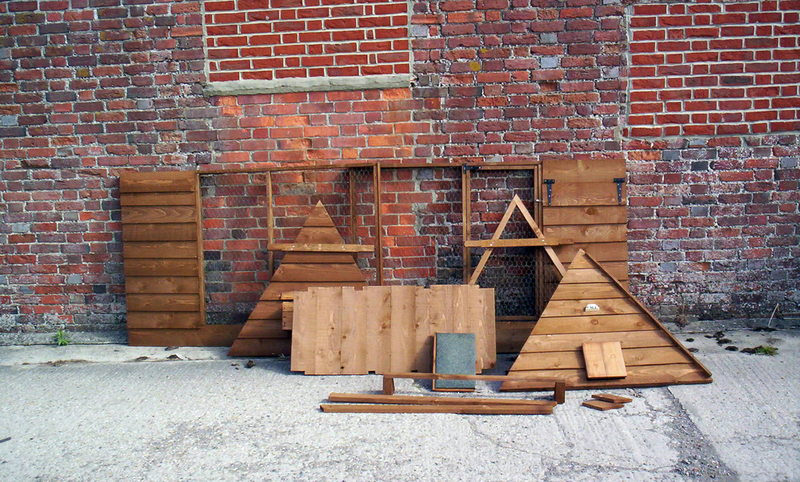 Trojan Timber do not use composite board in the construction of sheds. All of our timber materials are bought from companies that ensure that their products are obtained from substainable sources. We manufacture all of our sheds to order. We do not mass produce our sheds which means a superior quality shed compared to a lot of online companies. This also gives you the choice to have your shed built the way you want it! We use redwood shiplap, loglap, tongue and groove; whitewood for our framing, floor boards, roof boards and overlap cladding boards. Our overlap is 12mm finish; standard shiplap is 12mm finish; heavy duty shiplap is 15mm finish and loglap is 21mm finish at its thickest point. Green mineral shed felt. 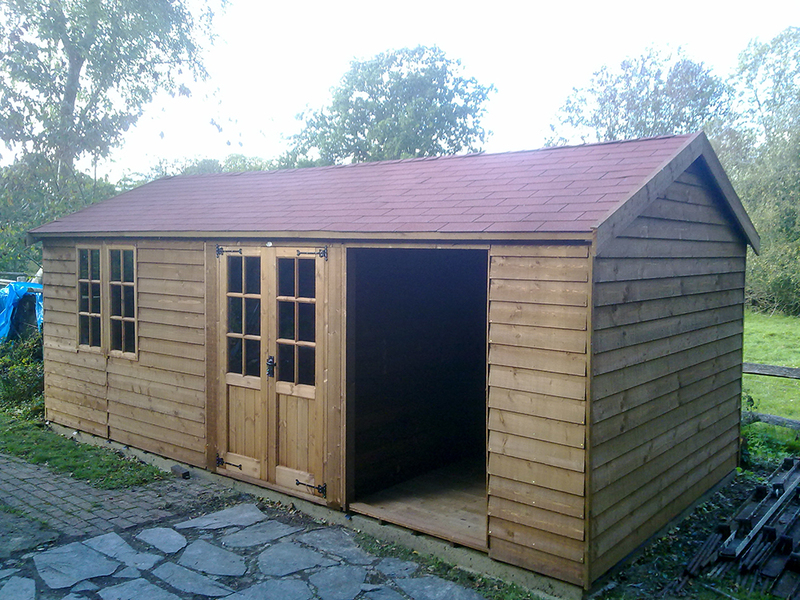 Our Apex and Pent Sheds range from as small as 4' x 4' up to 8' x 18'. 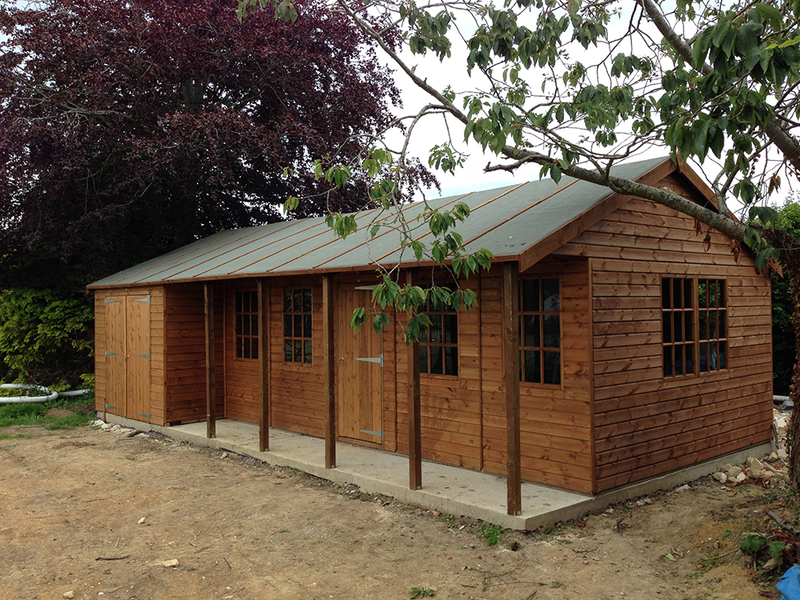 Constructed from 25mm x 38mm pressure treated batten, each shed is designed to your specification and built to last. 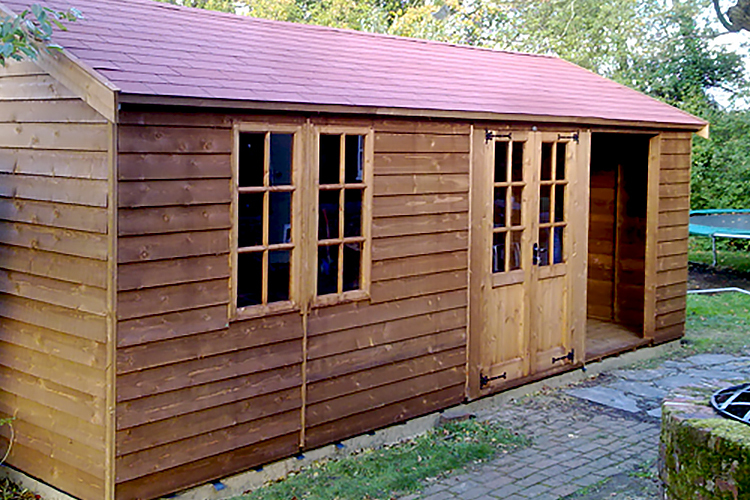 We manufacture to order so whatever your need when it comes to your garage or workshop, we'll build it just for you. Simply contact us to discuss your ideas. 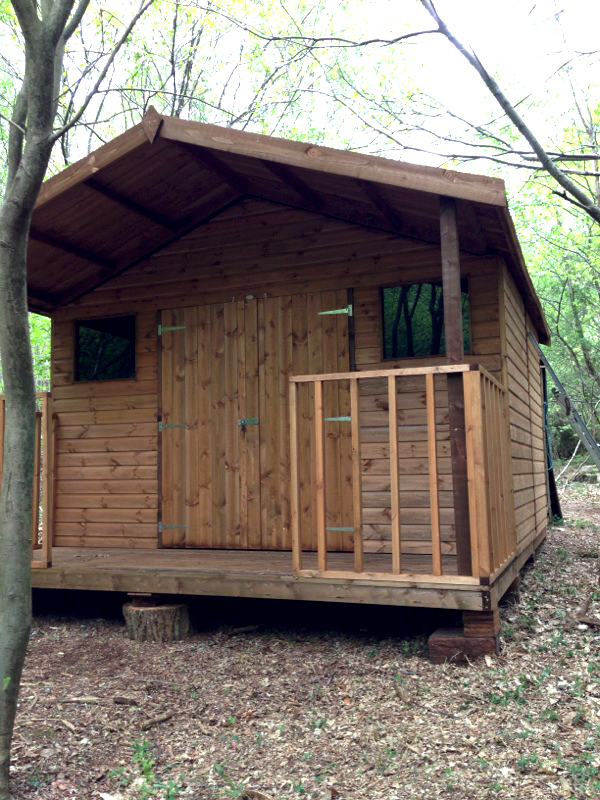 Trojan Timber are proud to offer British made, bespoke, sustainable timber log cabins and garden summerhouses. Create a tranquil home retreat to relax and unwind in. Our individual and stylish beach huts are custom made to order. From an eco, minimalist style natural beach hut or a more classic, brightly coloured or candy striped beach hut, we’ve got it covered. Family is at the very heart of Trojan Timber. We understand that the little people in your life need a place to roam free and let their imagination run wild, so we build them their own space to do so. From kennels (with or without runs) to hutches or free range chicken coups, our range of wooden pet houses, hutches and runs are all tailormade to suit you furry or feathered friends. Bespoke timber outdoor storage is an affordable and practical solution for small home owners, gardeners and outdoorsy types alike. Trojan Timber offers a host of functional outdoor storage solutions. Quite simply, if you need just about anything made to order from timber, you got it! Trojan Timber offer a completely bespoke service so just give us your brief and we will manufacture whatever you require. 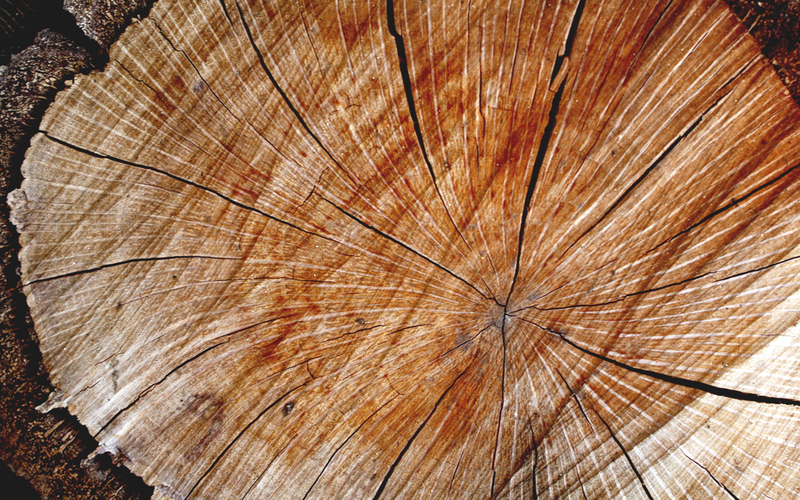 At Trojan Timber, we believe in delivering superior quality timber products, custom manufactured just for you – to suit your purpose and fit within its surroundings. That's why we chose the beautiful rural neighbourhood of Sidlesham for our location.